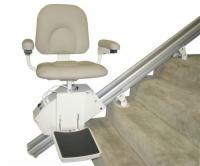 AmeriGlide Marietta is a licensed commercial and residential elevator mechanic. 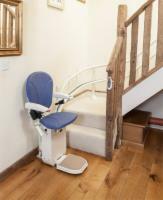 The main benefit of choosing a battery powered stair lift is that your lift will continue to work even if the power goes out. With the back-up battery system, you will never have to worry about being stranded on one level of your home if severe weather or other circumstances cause a loss of power. Not sure if a battery powered option is right for you? 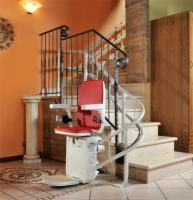 With so many available options, deciding on the right stair lift for you and your home can seem overwhelming. Let us help. 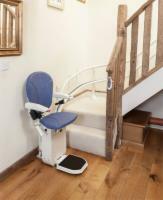 Call to speak with a stair lift expert who can help you narrow down your choices and match you up with the perfect model to fit all your needs. 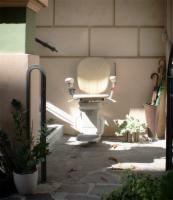 ...the 3 [stair lift] boxes came packed very well. The measurement sheet came out perfect with your help. Your larger brackets did the trick. When we saw the instruction sheet I said, "o boy". Step by step it came out great. "Very easy to read", my son said. It's great to see when a company provides a superior product at a reasonable price point. 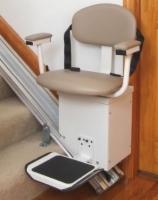 Contact one of our stairlift experts to learn more about how each lift is whisper quiet and easy to install.